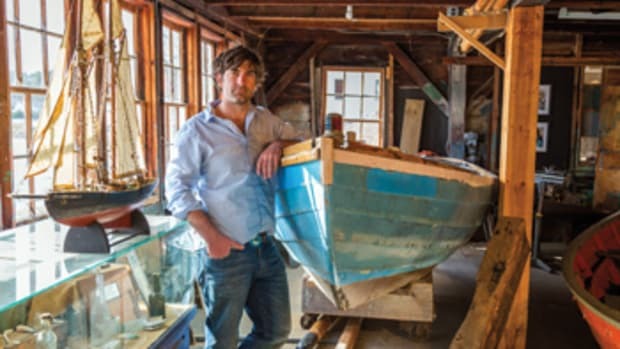 Cabot Lyman moved to Thomaston, Maine, from Vermont in 1978 with a plan to become a boatbuilder. 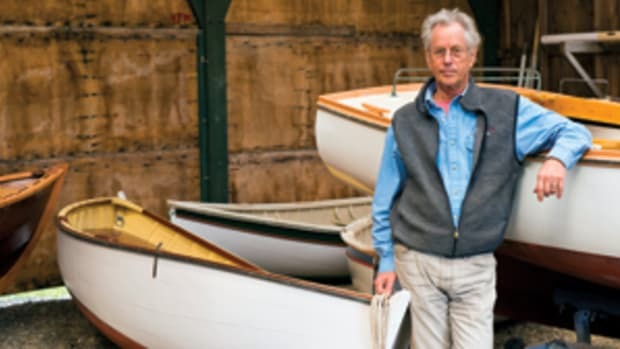 Lyman was looking for space to rent, Morse Boatbuilding was struggling, and it wasn’t long before the two joined forces as Lyman-Morse Boatbuilding. Since then, the company has launched more than 110 vessels, many of them legendary voyagers and racers — not surprising, since Lyman is himself a legendary voyager and racer. Lyman and his wife, Heidi, spent five years sailing and skippering boats in the Caribbean and Mediterranean after college. In 1987 they and their three boys sailed their Lyman-Morse-built Seguin 49, Chewink, on a three-year, 30,000-nautical-mile circumnavigation. 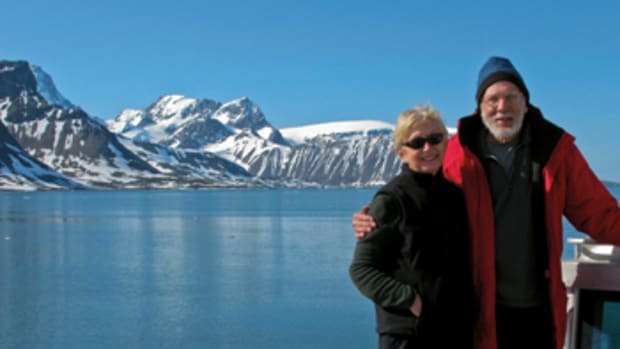 Over the years since, the Lymans have sailed Chewink more than 95,000 nautical miles through the Pacific and Caribbean. Innovation and diversification have been hallmarks of Lyman’s successful career. 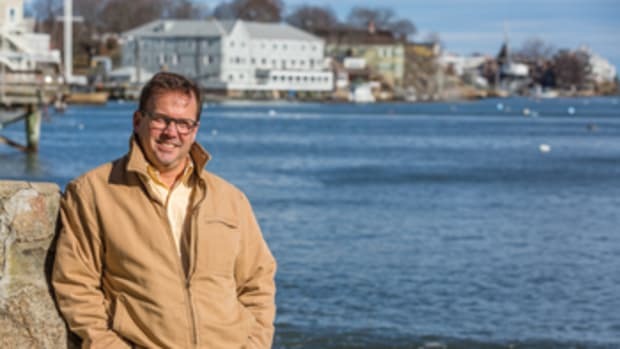 In recent years, Lyman-Morse, now led by son Drew, purchased Wayfarer Marine in Camden, Maine, and opened 250 Main, an elegant 26-room hotel in Rockland. 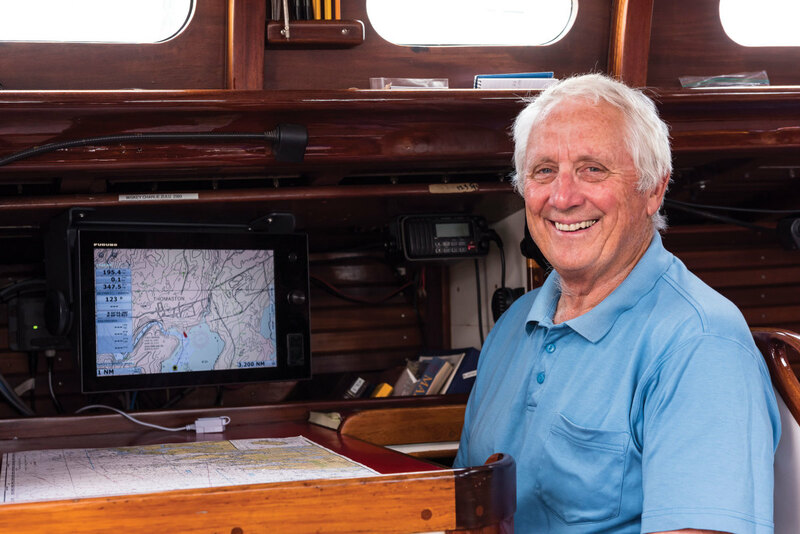 This year, the Cruising Club of America gave Cabot and Heidi Lyman its prestigious Far Horizons Award in recognition of approximately 150,000 nautical miles of sailing. 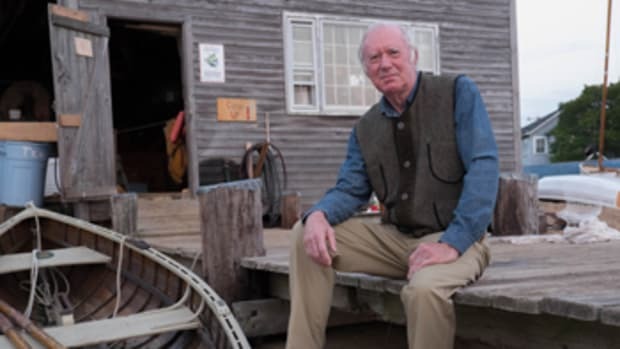 First memory of being on a boat: Picking blueberries with my father in Maine in the early ’50s, then coming aboard his 36-foot Crocker ketch, ShipMate coal stove going 24/7 and producing some very good pies. 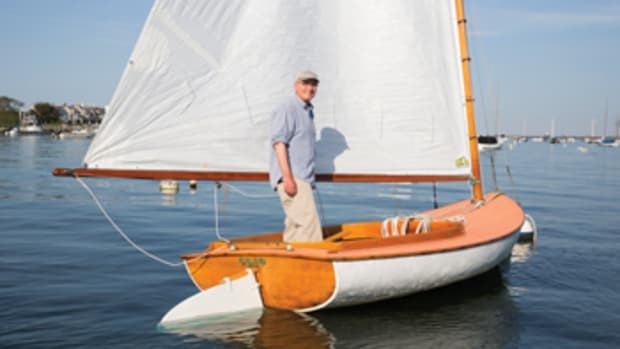 First boat you owned: Chewink, a 46-foot John Hanna-designed gaff-rigged double-ender. In 1967, I spent three years aboard in the Mediterranean and then came back across the Atlantic. Your current boat: Chewink, a 49-foot Ted Hood design launched in 1987. As of today, she has sailed close to 115,000 miles, including a circumnavigation and a second trip to New Zealand. Favorite boat you’ve owned: Obviously, the 49-foot Hood. Heavy, easy motion, averages close to 180 miles per day, ideal for my old age and like an old shoe. Anyone who has sailed as many miles as I have on Chewink falls in love with the boat they are on. Chewink has soul. Your dream boat: Besides Chewink, Ticonderoga or a Fox 50. There’s a wide spectrum. 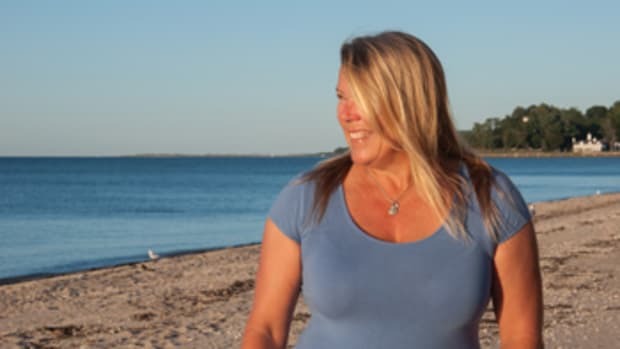 Most rewarding (sailing) experience: Circumnavigating with Heidi and our three sons from 1987 to 1990. Scariest adventure aboard: Docking in bad conditions. Most memorable experience aboard: Hard to quantify, but the most satisfying perhaps was in 1990: hove-to in about 60 knots just north of the Gulf Stream headed to Newport, Rhode Island, at the finish of our circumnavigation. Heidi cooking bread, Alex and Drew playing with Legos, Zach studying to catch up in high school, myself reading a book. I remember feeling safe and having complete confidence in the boat — we were a well-oiled cruising machine/family by that time. Longest time you’ve spent at sea without setting foot on land: 22 days in 1970 crossing from the Canaries to St. Vincent on the gaff-rigged Hanna and averaging 120 miles a day — normal for back then but painful today. Most memorable long run was between the Galapagos and the Marquesas — 18 days, 3,000 miles. Favorite destination so far: Marquesas and then New Zealand or Knysna, South Africa, but always happiest having a drink in the cockpit in a protected, quiet anchorage in Maine. Favorite nautical book: Sailing Alone Around The World by Joshua Slocum. The first cruising guide and still helpful! Favorite nautical cause you support and why: Hurricane Island Center for Science and Leadership (hurricaneisland.net) — teaching kids how to study and analyze the oceans.